In many fields of research, animal experiments are unfortunately necessary because there are no suitable alternatives. That does mean, however, that animal experiments must be justified. Researchers and other stakeholders should always weigh the social interest (such as a drug to treat a disease) against the interest of the animal (such as not having to undergo a painful test). It is the responsibility of the researcher to use animal experiments conscientiously, to develop animal-free test methods, and to use any suitable alternative methods. The ULS 3R Centre encourages the development, application and acceptance of these animal-free testing methods. The 3Rs stand for: Replacement, Reduction and Refinement. We aim to continue to advise and inform researchers and other users. We also want to continue to inform the public about animal experiments and about the latest developments in the field. We would like to continue participating in the Animal Experiments Studies course and relevant Master’s programmes for people responsible for setting up studies using animal experiments. The Centre provides free information about the 3Rs via the 3R Database Programme. This database includes the following three sub-databases: Interspecies Database (1), the Humane Endpoints website (2) and the FCS-free Database (3). The Interspecies Database (www.interspeciesinfo.com) provides a large data set of reliable body measurements and characteristics of various animal species and humans. This gives researchers the option of choosing a test animal which, based on the available data, corresponds best to another animal species or to humans. This not only saves time and money, but also the number of test animals needed. This method also improves the quality of the research. The Humane Endpoints website (www.humane-endpoints.info) provides information about humane endpoints and explains how to recognise them in rodents and fish. Humane endpoints are moments during the experiment where the researcher can intervene if the animals experience unnecessary pain or discomfort. The researcher can then remove the animal from the experiment or administer pain relief or anaesthetics. The website teaches current and future researchers how to observe the animals, monitor their welfare and intervene when necessary, in order to allow them to treat test animals in a conscious and responsible manner. In so doing, they can prevent unnecessary suffering. Foetal Calf Serum (FCS) is a common ingredient in growth media used to grow cells in the lab (in vitro). Unfortunately, FCS is obtained in a manner that is not animal-friendly. 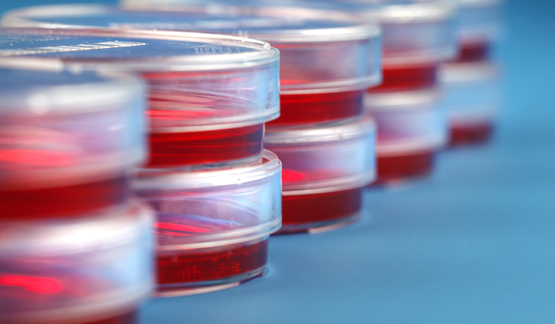 The FCS-free Database (fcs-free.org) allows scientists to find FCS-free media for their cell culture research. FCS is also a natural product, so the composition of the commercially available FCS can vary, requiring the repetition of experiments in order to obtain reliable results. Considering the ethical and scientific arguments against FCS, it would be better to use growth media that do not contain FCS. The FCS-Free Database serves as a platform in which scientists can discuss which FCS-free media are suitable for growing cultures of specific cells. I am Dr. Jan van der Valk, and I work at Utrecht University’s Faculty of Veterinary Medicine, in the Department of Animals in Science and Society. I was trained as a medical biologist, and for many years I have worked to promote the 3R methods as alternatives for animal experiments. I coordinate the Utrecht Life Sciences 3Rs Centre, and I am involved in innovations in animal experiment-free education. I therefore teach courses about the 3Rs and provide information about 3R methods. If you would like to know more about me, click here. The 3Rs Centre and its activities are completely independent, so we do not receive subsidies or other financial contributions from the government. In order to continue our work towards a future without animal experiments, we therefore need other sources of funding. With our target amount of € 120,000, we can continue to maintain and develop the three database websites. Friends of VetMed is the charity fund of the Faculty of Veterinary Medicine, Utrecht University. We raise money for research and innovation aimed at improving and protecting the health and welfare of all animals. Now and in future. With individuals, businesses and organisations like us. Because together, we can make all the difference.